Monetize your WordPress sites with just a few clicks. 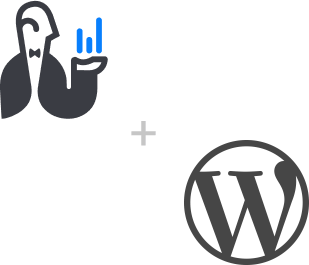 Use our custom built WordPress plugin to easily connect your AdButler account to the world's most popular web platform. Serve direct sale campaigns and header-bidding sources with ease. Serve ads in your main post feed with custom intervals or directly in each page or post. We give you full control over where your ads show up on your site. Using our simple prebid.js adapter, you can customize your WordPress setup to take advantage of programmatic bidding and maximize your revenue. Once your AdButler account is created, installing our WordPress plugin takes just two steps. Install and customize, then place your ad widgets wherever you want to serve ads. Boost your WordPress ad revenue with promoted content. 1MotorSport has a thriving network of hundreds of racing-related websites, generating over 100M impressions and reaching 18M race fans per year. After their high-volume news feed was identified as the biggest opportunity to increase ad exposure, AdButler's WordPress plug-in allowed them to quickly boost their overall revenue and click-through rates with sponsored ad content throughout their news feed. The results have been nothing short of impressive, with an immediate jump in earnings and user engagement. Our clustered hosting strategy gives you some of the fastest response times in the industry with unmatched guaranteed uptime. From a few thousand to billions of impressions per month, our scaling capabilities can handle even the most demanding setups. For nearly two decades, we've helped build custom ad networks around the world. We know what we’re doing, and we’re here to help you do it too. We take every precaution to promote healthy advertising practices and content on our servers with continual malware and anti-fraud scanning. It's free to set up your account with our 14-day trial, and when everything is ready to go we have custom pricing plans perfectly suited the level of traffic your site sees.